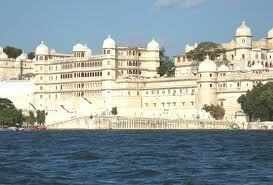 One day packages for the tourist places in and around Udaipur by Taxi. Check out the packages and book Full Day sightseeing tour packages online. We have another option for you is Udaipur sightseeing by Auto Rickshaw. Book online and confirm your ride in an auto rickshaw for local Sightseeing. 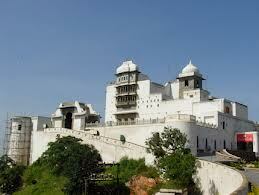 A bus tour is an economical way to see popular places of interest in Udaipur. 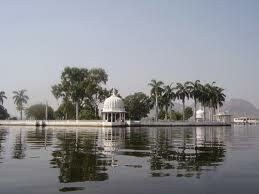 Book online bus Tickets for Udaipur local Sightseeing. 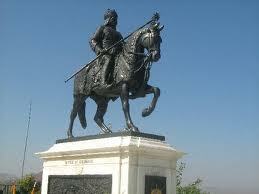 Book online bus tour to visit places of interest around Udaipur. Book online tickets for a sightseeing tour around Udaipur. Book online Activa/Jupiter/Bullet/Bajaj Avenger in Udaipur. A bike tour is a perfect way to explore places of interest in and around Udaipur. Send your requirements for rent two-wheeler bikes in Udaipur. We will provide the best price with pay online option to book your ride, select bike of your choice. Hire cheap discounted cars in Udaipur with quality services. Sedan, Hatchback, SUV or Luxury car rental with driver in Udaipur at affordable prices. Udaipur is the best place for romance and love. we offer the best deal, get the best and unforgettable Honeymoon Package in Udaipur. We have lots of hints, tips, and advice to help. Places to visit, things to do, travel advice and accommodation throughout Rajasthan. Get personalized travel assistance. Honda Activa on rent in Udaipur. Book online bike for Rent in Udaipur. Bike rental service in Udaipur at most affordable price. Hire bikes like Activa, Jupiter, Avenger, Pulsar, FZ, Royal Enfield, Thunderbird Etc. TVS Jupiter on rent in Udaipur. Book online bike for Rent in Udaipur. Bike rental service in Udaipur at most affordable price. Hire bikes like Activa, Jupiter, Avenger, Pulsar, FZ, Royal Enfield, Thunderbird Etc. Royal Enfield Bullet bike on rent in Udaipur. Book online bike for Rent in Udaipur. Bike rental service in Udaipur at most affordable price. Hire bikes like Activa, Jupiter, Avenger, Pulsar, FZ, Royal Enfield, Thunderbird Etc. Yamaha FZ on rent in Udaipur. Book online bike for Rent in Udaipur. Bike rental service in Udaipur at most affordable price. Hire bikes like Activa, Jupiter, Avenger, Pulsar, FZ, Royal Enfield, Thunderbird Etc. Bajaj Avenger on rent in Udaipur. Book online bike for Rent in Udaipur. Bike rental service in Udaipur at most affordable price. Hire bikes like Activa, Jupiter, Avenger, Pulsar, FZ, Royal Enfield, Thunderbird Etc. Bajaj Pulsar on rent in Udaipur. Book online bike for Rent in Udaipur. Bike rental service in Udaipur at most affordable price. Hire bikes like Activa, Jupiter, Avenger, Pulsar, FZ, Royal Enfield, Thunderbird Etc.